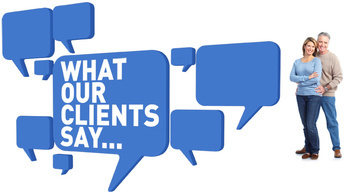 Client Testimonials - PFC Insurance Center, Inc. Thank you for the lovely gift of the olive oil and Balsamic vinegar. Such a welcome and useful gift. Quite a treat. And thank you for taking such good care of me and my insurance needs. It is truly appreciated by me. Steve has always been very personable and professional. He always answers my phone calls and all of my questions. He goes out of his way to help me and has gone the extra mile since day one. I refer everybody to him! He has a client for life. Awesome company! Great to work with & I have worked with them a lot!! Ag,home & auto.. even claims on my rentals! They are always there for me, supportive and helpful! I highly recommend them! I have the Best Insurance Agents in town!!!! Steve Harvey and Zanaida Akins saved me money on my home and auto insurance and I have a lot more coverage.